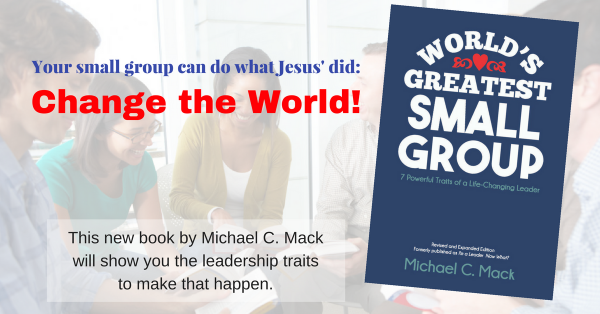 Home Small Group Leaders Leader's Heart-Overflow Get the BLANK Out of Leadership! How does the way others think about you—or what they’ve said about you—affect your ministry? How does the way you think about yourself, perhaps based on those tapes that keep playing in your head of what others have said to or about you, affect your ministry? Jesus and the apostle Paul were particularly aware of and empathetic toward this issue, and both wanted to be sure followers of Christ didn’t fall for this trick of Satan. This morning I was reading 1 Timothy 4, and came across a significant encouragement from the apostle to his prodigy, Timothy, “Don’t let anyone look down on you because you are young” (v. 12). Timothy was young. That was probably just one of the supposed “obstacles” he had to fruitful ministry. What is it for you? How would you fill in the blank? Don’t let anyone think less of you because you are _____. What’s in the blank for you? What have others told you or what are you telling yourself? It’s a trick! It’s a deception from the Deceiver himself. It’s a downright lie. Don’t let anyone think less of you or look down on you for any reason. “For our hope in in the living God, who is the Savior of all people and particularly of all believers” (v. 10). “[God] said to me, ‘My grace is sufficient for you, for my power is made perfect in weakness'” (2 Cor. 12:9). “What is impossible with man is possible with God” (Luke 18:27). “For I can do everything through Christ, who gives me strength” (Phil. 4:13). Everything. You can do whatever ministry God has given you to do—in your home, in your small group, at your church, in your neighborhood or workplace—not by your strength, but through Christ, who gives you strength. For I can do _____ through Christ, who gives me strength. QUESTION: I’d love to hear what you wrote in that last blank. What can you do through the power of Christ? Please respond by clicking the comments button, below.